The Yorkshire coastal town of Whitby is dominated by the gaunt and imposing Whitby Abbey, founded in 657 by St Hilda and, in 2001, voted Britain’s most romantic ruin by readers of the BBC’s Countryfile magazine. Some of Whitby’s famous residents include Caedmon, England’s earliest recognised poet who lived in the Abbey, Captain Cook, Bram Stoker and his most famous creation Dracula, who landed in Whitby onboard a ship disguised as a black dog! 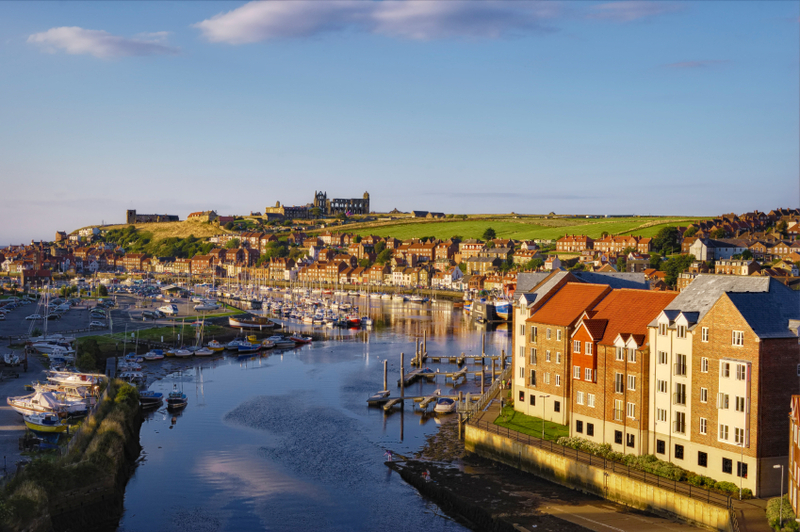 As well as the tourist industry that has grown up around the Dracula-Whitby legend, you will also find a quaint harbour, fine eateries and marvellous places to stay. If you’re thinking of going on a disabled friendly holiday in Whitby, just make sure you don’t stroke any black dogs that you come across there! At this gorgeous cottage you'll find all the comforts of home, away from home. You'll be ideally placed to enjoy Coast and Countryside alike. There are spectacular views with peace and quiet... you'll leave wanting more! The 80 acre Estate hotel with gorgeous landscaped grounds is located in the coastal North Yorkshire countryside. The property is fully fitted to a Tourist Board assessed 4 star gold standard. The ground floor comprises a lounge, kitchen/dining room, and a disabled accessible bedroom with en-suite wet room. Situated in the picturesque costal village of Runswick Bay, 8 miles north of Whitby, on the edge of the North Yorkshire Moors National Park. With an award-winning restaurant and a putting green, Dunsley Hall Country House Hotel is a historic mansion set in beautiful grounds. This cottage has been superbly renovated and refurbished to offer excellent holiday accommodation for couples, families and those where mobility is a problem. Nestling beside the old windmill on the edge of Ravenscar, this cottage is a recent barn conversion which has been thoughtfully renovated to a particularly high standard. Affording breathtaking views across Whitby golf course and Sandsend Bay, this wonderful detached holiday property stands on the road between the old fishing port of Whitby and the tiny resort of Sandsend, within a 5-minute walk of a sandy beach.